We really like Chicken Piccata. We already have an awesome recipe that we absolutely love, but I am always open to new variations. I got this recipe at a Pampered Chef party. (I have a slight Pampered Chef addiction) I was intrigued with this recipe because it had cream cheese and artichokes in it. I thought that sounded very interesting. This turned out great! We both loved it. It was super easy to throw together. I modified the original recipe and turned this into a true one-pot (skillet) recipe. Less cleaning for Chicken Legs! We halved the recipe below and there were no leftovers. We both cleaned our plates! This is definitely worth a try. Cut chicken into 1-in. pieces. Combine chicken, 1 tablespoon of the oil and rub in a large bowl; toss to coat. Heat remaining oil in a skillet over medium-high heat 1–3 minutes or until shimmering. Add chicken to hot skillet; cook and stir 10 minutes or until chicken is golden brown and centers are no longer pink. Remove chicken from skillet; set aside. Add onion to skillet; cook 10–20 seconds or until onion is and fragrant. Carefully add broth and bring to a boil. Add pasta to skillet; cook, uncovered, 7–8 minutes or until pasta is tender, stirring occasionally. Zest lemon to measure 1 tablespoon. Juice lemon to measure 4 tablespoons. Add zest, juice and cream cheese to skillet; stir until cream cheese is fully incorporated. Add chicken and artichokes to skillet. Cook, covered, 1–2 minutes or until heated through. Remove from heat; stir in capers. Garnish with parmesan cheese, if desired. Nothing plain about this chicken! Looks wonderful! Sounds very good! Cream cheese, artichokes, capers - all yummy!!! 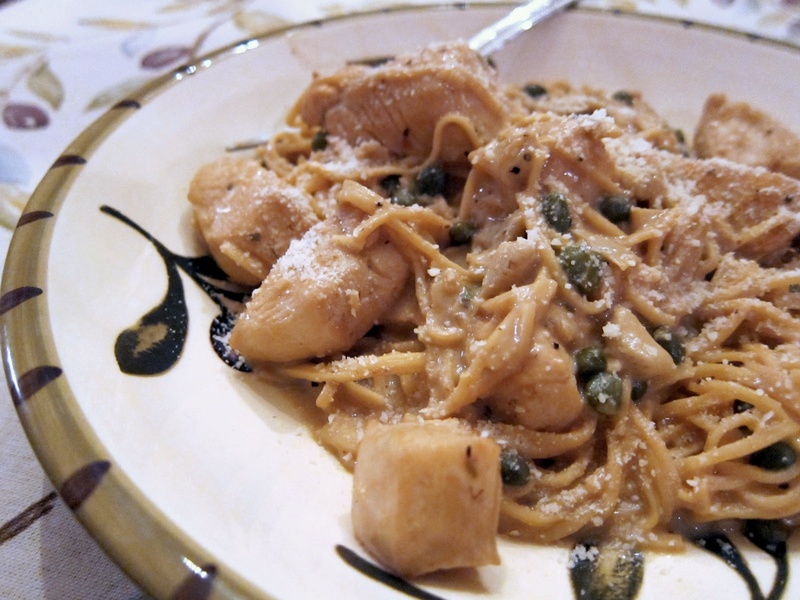 I am such a fan of Chicken Piccata. I used to work at a restaraunt that served it, and I would eat it all the time! I just had a version of chicken piccata that had artichoke hearts last week at our favorite local restaurant and I loved it. It went well with the lemon and capers. Steph, my favorite cook! Congratulations! I’ve awarded you with a “Stylish Blogger Award!” If you chose to accept please visit my post: http://liliannagrace.blogspot.com/2011/01/blogging-share-fun-love.html Grab the “Stylish Blogger” photo, and follow the rules. Thanks for being such a fantastic blogger! 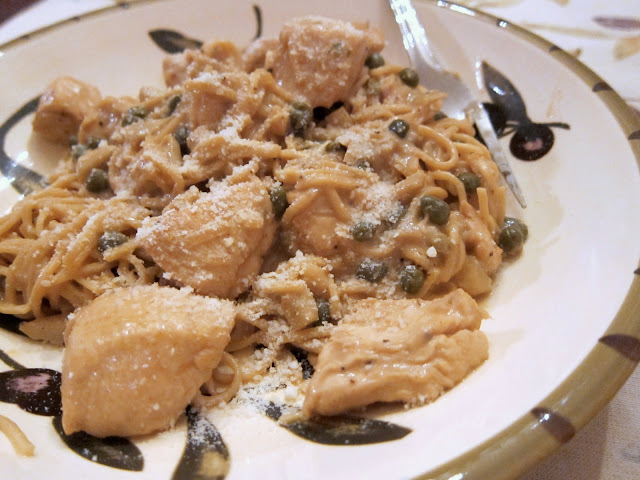 I too have my favorite Chicken Piccata recipe and will definitely be giving this a try.